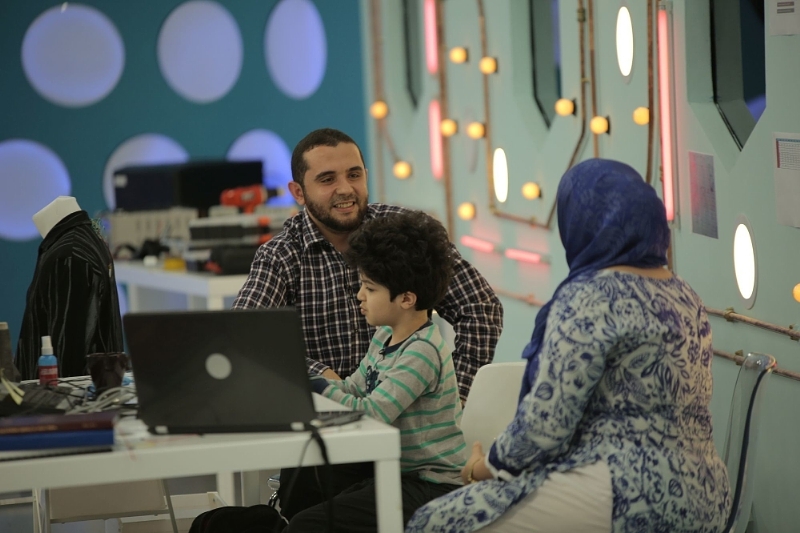 DOHA, Qatar: PRNewswire: Innovators from Algeria, Bahrain, Egypt and Jordan succeeded in passing through the first two prototyping episodes of Stars of Science, Qatar Foundation’s flagship ‘edutainment’ reality TV show on MBC4. Under intense questioning from an expert jury, each candidate was challenged to defend the prototype they had developed. Unable to best their rival inventors, Nizar Chelly of Tunisia and Ali Al-Sulaiti of Qatar weren’t able to stay in the competition. In a fast-paced first prototyping episode, Sadeem Qdaisat of Jordan received top marks for “GenomiQ,” a device that automates the preparation of slides for genetic testing. With his automatic scoring system for Taekwondo “Take One,” Ghassan Yusuf of Bahrain edged out Nizar Chelly of Tunisia with his innovation, “Canscan,” a phone robotic platform auto scanner. Stars of Science serves as a catalyst for creative thinking and inspiration for the next generation of problem solvers across the Arab world. Over its seven seasons, Stars of Science has helped to kick start dozens of innovative ideas, launch the careers of numerous Arab entrepreneurs and encourage thousands more to be interested in science and technology. Past candidates on the show have incorporated 21 companies and raised nine million dollars in funding to support the development of their products. Saturday, October 29th is the final prototyping elimination in which two candidates will be selected to advance to the customer validation stage. As the show progresses, two other candidates will be eliminated, leaving four finalists who will earn a share of a $600,000 prize based on jury and public voting. The next episode airs on Saturday 29th October at 10:30pm KSA/ 7:30pm GMT on MBC4. Stars of Science airs every Saturday on MBC4 at 10:30pm KSA / 7:30 pm GMT until November 19th 2016. Today, MBC Group includes 20 TV channels: MBC1 (general family entertainment); MBC2 and MBC MAX (24-hour western movies); MBC3 (children’s edutainment with a mix of both local productions and western acquisitions); MBC4 (entertainment for young families with a female-focus); MBC Action (an indigenous adrenaline-packed channel targeting young males with local and homegrown productions); MBC Variety (Western films and general entertainment with uninterrupted broadcasting); Al Arabiya News Channel (the 24-hour Arabic language news channel); Al Hadath (an extension of Al Arabiya News Channel with a specific focus on real events in the Arab world and beyond); Wanasah (24-hour Arabic music channel); MBC DRAMA (24/7 Arabic drama); MBC MASR (general family entertainment geared towards the Egyptian family); MBC MASR 2 (providing the Egyptian audience with superior quality entertainment); MBC + Drama (exclusive on MyHD); MBC Bollywood (delivering the freshest in Bollywood content geared towards the region via an Arabized interface); and most recently four sports channels, MBC PRO SPORTS (geared towards the “Saudi Football Premier League” fans in the Kingdom); andMBC USA (the channel is present on “Dish Network” in the US, and targets Arab audiences aboard; the channel is dedicated to offer and broadcast a wide range of content from the prominent MBC channels including movies, series and global formats). MBC Group also includes two FM radio stations: MBC FM (Gulf music) and Panorama FM (contemporary Arabic hit music); as well as O3 Productions, a premium content drama production company. Furthermore, MBC Group includes online platforms: mbc.net, alarabiya.net, shahid.net (the first free VOD and catch-up portal in the Arab world) and actionha.net, and mbcprosports.net among others.